When Chancellor Randy Woodson gives the commencement address at PNC Arena this Friday, he’ll speak to nearly 3,500 students ready to take their Think and Do attitudes out into the world. 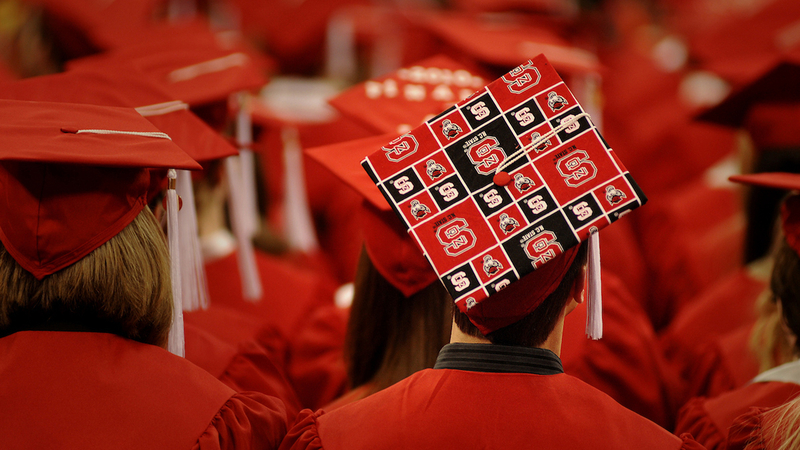 Each student took their own path to finish their studies at NC State, and they will turn their tassels ready to tackle society’s grand challenges. The university’s entrepreneurship initiatives helped many of these students prepare for life after graduation, and the nation is taking notice. The Princeton Review and Entrepreneur magazine recently recognized NC State on its list of “Top 25 Best Undergrad Programs for Entrepreneurs in 2018,” coming in at No. 19. Meet two fall 2017 graduates who charted the course of their academic careers with the help of entrepreneurship at NC State. NCYLF gives high school students with severe disabilities the opportunity to spend a week on NC State’s campus during the summer in order to explore career and leadership avenues. 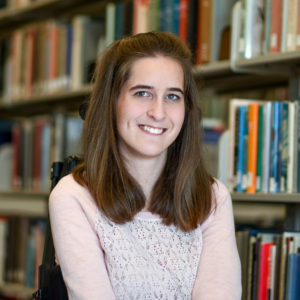 This experience often marks the first exposure to a college campus and independent living. McMillan worked throughout her time at NC State to solidify the program and create a sustainable model to carry it into the future. With the minor in nonprofit studies, she feels that she is well prepared to continue her passion for this work. You’ve heard all the stereotypes of members of the Millennial Generation — entitled, selfish, lazy — but talk to NC State students like Charlotte native Oliver Walsh, and you’ll find those views completely unfounded. Walsh, a senior electrical engineering major, shows a passion for entrepreneurship that gives him a solid start on post-graduation success. He chose NC State for the university’s renowned engineering program, but truly found his calling through entrepreneurship initiatives on campus. The EI Garage provides a physical space and resources for NC State students to explore new ideas and interests. Entrepalooza is an annual entrepreneurship and innovation festival that encourages students to use their business visions to address society’s grand challenges. Both of these initiatives, along with fall and spring break trips to New York and Silicon Valley in 2015 and 2016, provided a spark for Walsh to continue developing his team’s startup. ShareFish, an app that allowed users to see drink specials at local bars, and vote on where to go, debuted in April 2016 and quickly started generating revenue. That’s the kind of humble attitude and entrepreneurial spirit that will ensure Walsh succeeds past the walls of NC State. 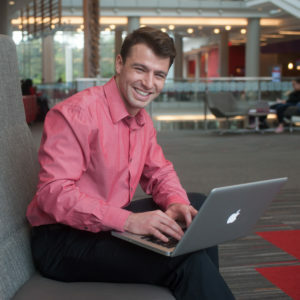 After two iterations, he and his team shut down ShareFish, but the experience helped him ace an interview and land a job as a business technology analyst at Deloitte Consulting in Charlotte. He’ll get to use the creativity and problem-solving skills he learned through the university’s entrepreneurship initiatives to help others build their businesses. And, he’ll be able to stay near his family who inspired him from a young age to set goals, and work tirelessly to achieve them. So what have Walsh’s entrepreneurship ventures taught him throughout his time at NC State? He has two insightful answers. Please send me additional information about Entrepreneurial undergrad degree. Can you get this degree online? Hi RC – for more information about entrepreneurship degree programs, please visit: entrepreneurship.ncsu.edu/students/academics. If you have additional questions, please contact us at entrepreneurship@ncsu.edu or 919.513.3676. Thank you!